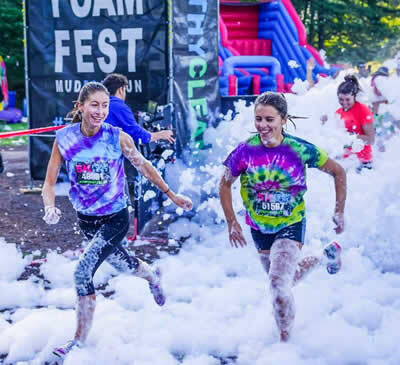 The Kookaburras are partnering this year with the awesome 5k Foam Fest at Lake Lanier Islands on April 7th 2018. 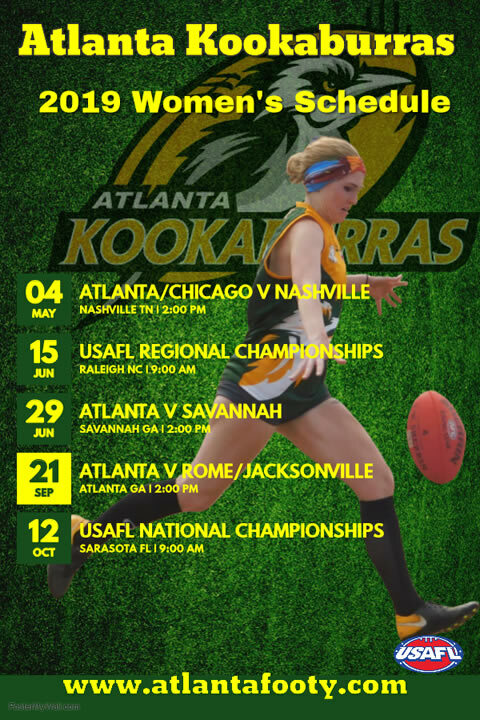 The event attracts thousands of participants and Kookaburra volunteers will be able to join in the fun as well has help the event run smoothly. 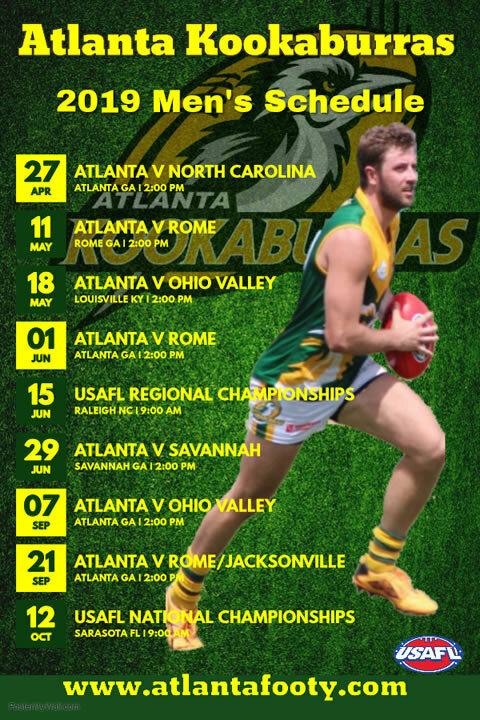 Proceeds of the fundraising will assist with Kookaburras goal of expanding Aussie Rules in the Atlanta area and also assist players for road game expenses. Everyone is welcome to join with us as the more people we sign up the greater impact we can have. Please reach out to us if you would like to help us and have a few friends that could come along. We guarantee everyone will have a blast. Contact us here to join our volunteer list. Read more about the 5k event here. Can you do one of the following? Pass like in basketball, kick like in soccer, chase like in hockey, run like in track, jump like in volleyball or catch like in football? Then you are in the right place because our AFLS game, a variation of Aussie Rules Football, has all this and actually more. Add fun, safe for everyone, high scoring, communication and teamwork and you have a game that combines all six of these sports and some. 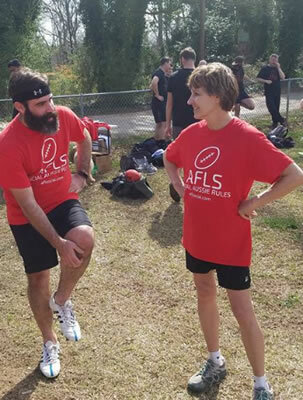 We are introducing to Atlanta our local family social sports game that anyone really can play called AFLS. AFL stands for Australian Football League, the S = Social. The game is played 7 aside, on a field 75-90 yards in length normally used for soccer or football (or can be slightly oval shape) and will have men's, women's and co-ed games. The game is entirely safe like any other Recreation sport, so is a 100% non tackle and non contact game everyone can enjoy. It will great for keeping yourself and the entire family fit and active during winter or the whole year round. The added bonus is having a ton of fun and meeting many new friends. You might even meet some Aussies! Teams are forming now (Sign up your team now), or sign up as an individual and we will place you on a team that needs you. And you only need 7 players to play. A minimum of 3 women on the field at any time is required for co-ed league games and they score higher points when they kick a goal, so ladies come on down. Players can rotate on and off the field at any time for a rest, so a few extas will come in handy.